I like Enrique Iglesias. His music is always in love, or desperately in love, or just thirsty to prove that he’s love. Hahahaha. Really. And all the time, it goes with a good beat and a fantastic melody. I’ve been watching Heartbeat a lot recently, just to get the blood pumping right before work. The weather has been so depressing lately; it’s like the skies are trying to recover from a breakup. So yeah, this song just gives you that good chirpy mood. 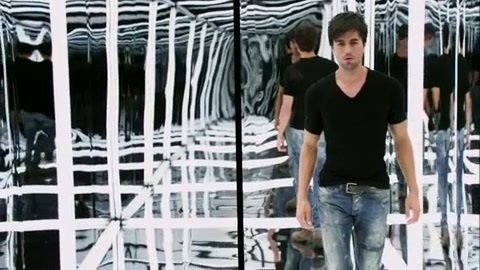 Notice the bleached jeans Enrique (hyuck, feeling close) is wearing? That Nicole Scherzinger’s lacy dress. Yeah I don’t think I’m up for that. But because it’s still 2012, goals have not changed. I have lost and gained and lost and gained the pounds I aim to lose, so obviously the challenge that I fail to rise to every time is consistency.